William Faulkner examines the life and work of the American modernist whose experiments in style and form radically challenged not only the experience of time in narrative, but also conceptions of the American South, race, and the explosive fear of miscegenation. Beginning with the 1929 publication of The Sound and the Fury (his fourth novel), Faulkner produced a dazzling series of masterpieces in rapid order, including As I Lay Dying; Sanctuary; Light in August; Absalom, Absalom! ; and Go Down, Moses—novels and stories that alternately exhilarated and exasperated critics and left readers gasping to keep pace with his storytelling innovations. Transforming his hometown of Oxford, Mississippi, into the fictional Yoknapatawpha County, Faulkner created his own microcosm in which compassion and personal honor struggle to stand up to the violence, lust, and greed of the modern world. As prolific as Faulkner was, however, the career of this Nobel laureate was neither easy nor carefree. He was perpetually strapped for cash, burdened with supporting a large extended family, ambivalent toward his marriage, and vulnerable to alcoholism. Honoring both the man and the artist, this book examines how Faulkner strained to balance these pressures and pursue his literary vision with single-minded determination. "Curnutt chronicles the major periods of Faulkner’s life and literary career. Most interestingly, he endeavors to distinguish between fact and fiction in the development of Faulkner’s public personae. . . . 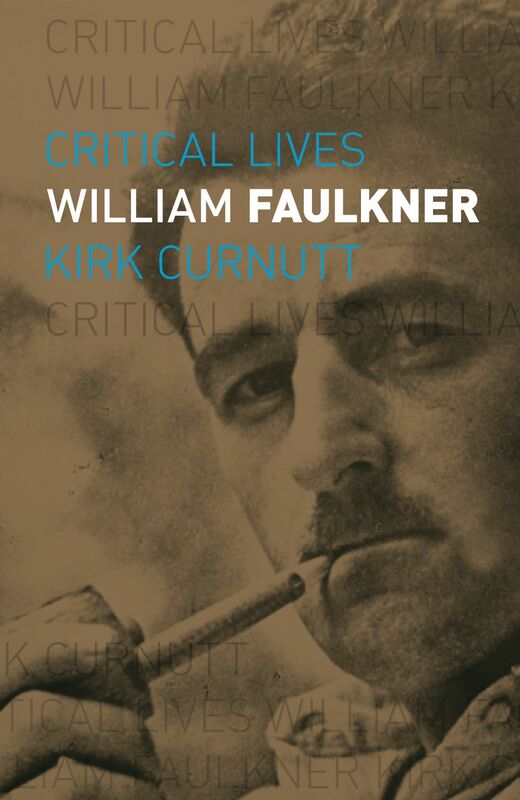 Exploring Faulkner’s texts, events surrounding their composition, and their public and critical reception, Curnutt offers a brief but compelling portrait . . . Readers intimidated by more extensive studies of Faulkner’s life—such as Joseph Blotner’s esteemed eight-hundred-page eponymous biography—will take comfort in Curnutt’s compendious account of this larger-than-life literary legend. Highly recommended." Deborah Clarke, Arizona State University and author of "Robbing the Mother: Women in Faulkner"